If you are looking for a sweet and satiating fruit, but not fattening, the dragon fruit can be the right choice. 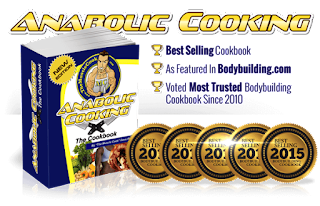 The absence of complex carbohydrates makes it easier to digest the body. Dragon fruit is generally grown in South Asia, Central Asia, and Southeast as Vietnam, Thailand, Philippines & more. Its skin is pink and thick enough. There are three types of dragon fruit based on the color of the meat, namely red, white, and yellow. One dragon fruit generally weighs 150-600 grams. 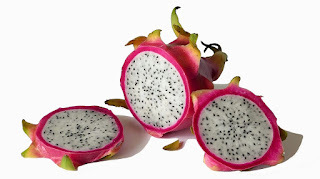 When opened, the texture of the dragon fruit flesh resembles a kiwi fruit, with black spots that are the seeds. Meat and seeds can be consumed directly simultaneously. These black seeds are rich in lipids, which are essential for cell growth. 2 grams of protein and 0.4 grams of fat. 14 grams of uncomplicated carbohydrates, which mainly consist of glucose and fructose. One gram of fiber acts as a probiotic that helps limit the growth of harmful bacteria. If taken regularly, can help improve the work of the digestive tract and avoid constipation. Sufficient 8 percent of daily iron requirement. This substance is needed to form red blood cells that deliver oxygen throughout the body. Sufficient 15 percent daily intake of vitamin C. Vitamin C acts as an antioxidant that protects the body cells from free radical damage. This vitamin also plays a role in the production of collagen and wound healing. Collagen is needed to form tendons, ligaments, skin, cartilage, and blood vessels. Vitamin C is also important for healthy bones and teeth. Sufficient 10 percent daily potassium requirement. Potassium is needed to support heart, muscle, nervous, and digestive function. Contains 9 grams of calcium that is useful for healthy teeth and bones. Dragon fruit does not contain cholesterol, trans fat, or saturated fat. If taken regularly this fruit can help keep blood pressure and control cholesterol levels. While dragon fruit seeds are rich in omega-3 and omega-6 fatty acids that reduce the risk of cardiovascular and triglyceride disorders. In addition, dragon fruit also contains vitamin B. Vitamin B1 is beneficial to increase the metabolism of carbohydrates. B2 plays an important role for healthy skin, digestive system and blood cells. While in addition to maintaining skin health, vitamin B3 is also useful to reduce bad cholesterol. The red pigment in the dragon fruit contains lycopene, an antioxidant that is thought to prevent prostate cancer. Fitoalbumin is also present in dragon fruit. This material serves to remove toxic heavy metals from the body. The study found that eating dragon fruit can be useful to help relieve symptoms of arterial stiffness that is often experienced diabetics and a risk factor for heart problems. Eating dragon fruit extract is also beneficial to increase levels of antioxidants in the blood. Eating dragon fruit, especially red meat can make urine and feces also become reddish. But this condition is not harmful. In addition to consumed directly, this fruit can be processed into juice, jelly, yogurt, ice cream, or used as a blend with other foods, such as cakes and salads. While the flowers can also be consumed or processed into tea.